Jyoti Randhawa amassed a four-day total of four-over 288 (79-68-68-73) -- six shots behind winner Danthai Boonma of Thailand. 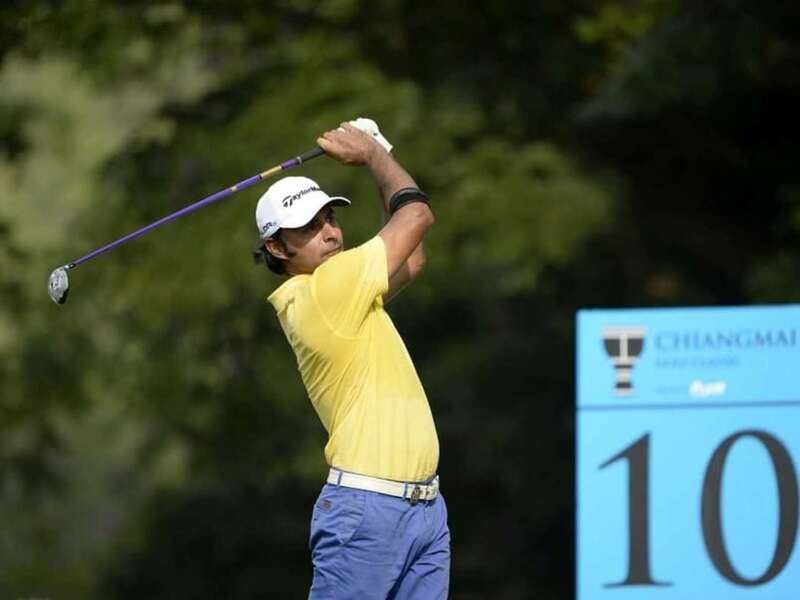 Randhawa, Asian Tour champion in 2002, amassed a four-day total of four-over 288 (79-68-68-73) -- six shots behind winner Danthai Boonma of Thailand. Bhullar got a 72-hole total of 290 (74-69-74-73). Randhawa, 43, dropped shots on the second, third and fifth holes but went on the path of recovery by picking birdies on the seventh, 10th and 12th. But a double-bogey on the par-three 17th forced him to settle for a two-over card. Among other Indians in the fray, Rashid Khan (75-69-75-73) shared the 20th spot with seasoned S.S.P. Chawrasia (73-75-73-71) on 292 as total. S. Chikka, who was overnight third, went through a horrible round of nine-over 80 and dropped 27 places to be 30th. Delhi's Chiragh Kumar, who last week won at Panasonic Open India, shared the 37th position with Bengaluru's Khalin Joshi on 294. One shot behind them was Shiv Kapur who signed off with a 76. Young Shubhankar Sharma was tied 54th on 300 after scoring 78 on the final day, while Abhijit Chadha finished 64th on 305 after getting an 84 in the fourth round. However, the day belonged to Thai Boonma, whose cautious and patient strategy proved to be the winning formula when he emerged triumphant after carding a 69. The young Thai was one of only two players to have broken par after four days of punishing and tense battle with the Asian Tour's heavyweights. Danthai's winning total of two-under 282 was enough to give him a slender one-shot victory over Malaysia's Nicholas Fung. South Korea's Jeunghun Wang signed off with a 69 to finish third ahead of Australia's Sam Brazel who secured fourth place with his 285 total. From the start of the week, the 19-year-old, who won two gold medals at the 2012 South East Asia (SEA) Games, always knew it was going to be a tight contest at the World Classic Course, dubbed 'Asia's toughest test' because of its treacherous slopes and tricky greens. After emerging as the last man standing, Boonma, who is playing in his first year as a professional, was clearly elated with his breakthrough victory on the region's premier Tour. "I'm so excited and happy that I'm now a champion on the Asian Tour," exclaimed Danthai. "I didn't want to think too much about winning the tournament during my front nine especially after dropping a shot there. But after making three birdies in four holes after the turn, I started to believe that this could be my week," added the Thai. Fung's challenge effectively came to an end at the par-four 16th where he three-putted for a bogey. After making par on the 17th, the Malaysian had another chance to pile the pressure on Boonma on 18 where a birdie would have forced a play-off. However a poor putt meant he had to settle for a runner-up spot.